One of the most important takeaways from school is learning how to think. We go in thinking that we will be taught knowledge, but really what we need to be able to do is take in knowledge and do things with it. We need to analyze if we believe it is true and properly contextualized. Can we convince with it, create new ideas with it, or critically evaluate how truthy it is, in the famous word of Steven Colbert. One of my favorite classes in business school was Technology Strategy. At its core it taught us how to think. We were taught critical tools that can be used to evaluate and come to conclusions and develop new ideas and concepts. One of the tools we wee taught is a type of trend analysis. Applying it to topics broad and narrow, it can quickly succinctly coalesce many different elements of a topic into a few manageable categories and then allow the user to make trend predictions based on what they observe in the field. The topic can be broad or narrow. I’ve seen trend analysis applied to concepts as broad as work or food service and as narrow as Star Wars. Whatever you want to analyze, go for it. I recommend thinking bigger rather than smaller. That allows you to capture more and not miss something that falls outside the scope of your topic but is related either directly or indirectly. That took me about sixty second. With some more concerted thought and organization it is possible to have an extensive list of what’s going on in the world of beverages, under some broad categories like Products, Availability, and Consumer Preference. Also notice how I defined the category as Beverages, not alcoholic beverages or non-alcoholic beverages. This allows me to explore the interplay between these two types of beverages, and also go deeper into social and cultural trends. I believe this step is the most important, and can require some refinement after you initially define your axes. Establish two axes that broadly cover the topic at hand. They should be vague and broad and allow for a wide variety of trends to populate a spectrum. The axes are continuums, but they need poles. The poles are the logical extremes of each axis and they help to constrain the eventual trends that emerge. Again, this is my cursory attempt at creating an example, but jotting down ideas early in the trend analysis process is important. You do not want pre-conceived notions or the opinions of others to taint your analysis too early. These axes and their associated poles can be refined later, but it’s important to quickly establish some boundaries for the analysis. With two axes, four quadrants naturally emerge. Give these quadrants descriptions based on their relation to the poles. The descriptions do not need to be technical, although they can be. They can be very matter of fact (as I do below) or more succinct. It will help you and your audience if your quadrants are easily relatable. You’ll need to get creative here, but it’s fun. Choose something from pop-culture or history and assign each quadrant a category from what you choose. Based on the categories assigned to each quadrant, give it a name corresponding to something from the real world in that category. You now have a well-defined framework to begin to truly analyze the topic and determine what is to come. Take your list of manifestations and roughly sort them into the quadrants. With your trend landscape clearly defined and all of your manifestations organized, all that is left is to decide what trend (or quadrant) will prevail. Determine this based on the emerging manifestations and what you believe will prevail. For beverages, are you going to go with the Honda? Probably not! The Chevy, Tesla, and Lambo all offer appealing attributes, so you can choose one of those quadrants and run with it or pick and choose from all three of them. If you want to put a confidence interval around your predictions, it’s infinite. You may be right, and you may be wrong. Experience certainly helps. This technique really just serves to organize thoughts and hopefully clear away some of the clouds surrounding what might be going on within a certain field or topic. For me, I’d put my money on the Tesla-beverages. People are always on the hunt for new flavors. Coca Cola is launching new flavors of Diet Coke. Trends come and go, but consumers’ appetite for new flavors seems to persist. However, they want choice, and they want people to know that they are making bold choices. I’d put my money on customization and the ability of people to publicize their choice. Imagine a vending machine or kiosk where you could select what exotic flavorings you want in your bottle of Coke or your six pack of seltzer, it mixes it automatically for you and then puts a vibrant label on the containers. Maybe you could even make your selections via an app and it automatically posts to your Instagram or you Snapchat with your personalized flavor mix. This is NOT an article about how AI, automation, and robotics are coming for non-knowledge jobs. That is happening, but this is an article about how AI is coming for traditional knowledge economy jobs too, and how it will change our economy and society, and I think for the better! 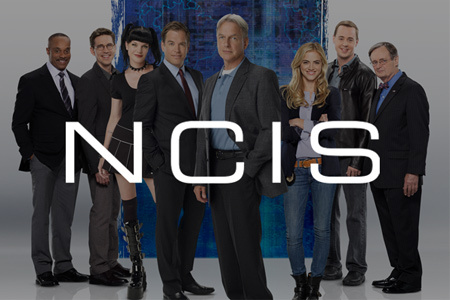 NCIS is dramatized television. There are very few, if any, people or organizations with that level of computing sophistication and coding skill. However, it’s close enough to how we think computers work to be believable. More remarkably, we’ve at least thought we’ve been at the cusp of this level of computational sophistication for nearly 20 years. I remember watching 24 with my dad in the early 2000’s and very similar tip-tap-success was going on back then in that show. Yet we all know, by sheer fact of our daily lives, that working with digital information is cumbersome, time consuming, and does not always end in success. Societally, we’ve convinced ourselves that we are living at the leading edge, if not the pinnacle, of the Digital Revolution. The advent of AI is just around the corner, and our 40+ years of digitization are poised to pay off into more leisure and more accurate and easy computing for all of us. On the contrary, I contend that we are merely at the beginning of the Digital Revolution, and there are still many years of work ahead of us before we can enjoy the tip-tap-success that we see on television. Data remain very compartmentalized. Throughout the digital age, companies, governments, and other entities created databases, data protocols, and computing and data languages ad hoc. Even within large organizations different databases exist to house purportedly the same data, and sometimes these databases contradict each other. Furthermore, data are often user generated, so discrepancies propagate over time. Remember when they rolled out the electronic medical record (EMR) at your office and you could not find the field for pulse until someone told you to look for “heart rate”? And is the accounting system in dollars or thousand dollars? These are the discrepancies that real life NCIS confronts when they perform data analysis, and it takes far more time than we seem to think to sometimes get less than clear results. A few weeks ago, I met my friend at a food hall in Midtown. I couldn’t help but look around and try to imagine what everyone did for work. Most patrons were young workers in business casual. Being Midtown, I imagined a lot of bank and finance workers, with a smattering of consultants, business people, and people in media and publishing. I know how they spend their days. I used to be a finance consultant. They spend all day pulling together data from disparate sources and collating them into something that their superiors can use to make decisions. “Where’s the data?” “Who has it?” “Is it any good?” These were my daily lines. Most work time for these “Midtowners” is spent replicating data, models, and results. Much less time is spent deciding what they make of results and numbers. I had entire projects where I figured out how the data came together and simply documented the process. Despite all of our advanced statistics and calculus classes, most people in these “Midtown” jobs are just performing basic arithmetic, if that. However, there is reason to believe that the Digital Revolution will soon be accelerating. Emerging innovations like blockchain and internet of things (IoT) are streamlining the collection, storage, and sharing of data. The rate at which we generate data is accelerating, so having clear protocols for the sharing of data is key if we want to continue to move up the digital curve. If we continue to generate astonishing amounts of data but do nothing about their balkanization then making connections between data – the tip-tap-success we see on NCIS and 24 – will be more and more difficult, not easier, as we often assume as default for digital processes. Over time, as fiefdoms of data come crashing down and the Digital Revolution truly does bring us closer to tip-tap-success, all of these Midtowners in clerical and finance roles will find themselves with a lot of free time on their hands (so will the consulting firms). Banks will finally be able to cut lose the throngs of high paid workers that spend their days knee deep in Excel, jockeying numbers for the few actual managers in firms whom make decisions. Managers will be able to easily retrieve <tip> the data they need, perform some manipulations as they see fit <tap>, and then make decisions based on their results <success>. This Digital Revolution is a necessary prerequisite for the full advent of AI. Data are the fuel for AI. Machine learning algorithms require vast quantities of data, and preferably data that update in real time, so the algorithms can truly learn and improve upon themselves. As it stands now, all of the world’s data are too balkanized for machine learning algorithms to pull them in and turn them into the true putty that will lead to cognition-level algorithms. However, when it does, it’s not only the Midtowners that need to worry about their jobs. Managers – true actually make decisions of import managers, will begin to see their judgement challenged by algorithms. When there is little uncertainty in what has transpired in the past and what the forecast prognosticates for the future, there is little room for what we now think of as managerial judgement in decision making. When I discuss this future with business people they see it as a hard pill to swallow. This is a natural response, but I’m apt to point out that there are excellent companies that are already working on AI for managerial decision making. As consumers, we are most familiar with Alexa or Google Home as voice-enabled personal digital assistants. However, Salesforce has Einstein, which helps sales and marketing teams with routine tasks. They’re already working on more advanced business applications for Einstein, and before long you’ll be able to ask Einstein, “Should we acquire a company or build a new capability in-house?” We are taught analytical frameworks to solve these questions in business school, so once we have the requisite data packaged into something that a machine can consume, why couldn’t, and why shouldn’t the machine answer the question for us (or even alert us to what questions we ought to be asking)? I am not saying that the clerical workers of today are overpaid data jockeys not worth their weight in avocado toast. Nor am I criticizing their managers for hiring them and needing their assistance. I recall a particularly large project from my old consulting firm. It required an army of fresh-out-of-college consultants to comb through loan files and flag missing documents and other discrepancies. The work was tedious, but it required attention, occasional analytics, and downright intelligence. The young consultants did not find it particularly rewarding, only repetitive, and the bank certainly did not want to be paying the millions of dollars for error identification. Nevertheless, we still live at the dawn of the Digital Revolution, and this work was a necessary evil for everyone involved in the project. With AI far more popularized now than it was only ten years ago, nearly everyone can see the promise of AI in automating audit work like that. Nevertheless, it is still not a reality. When the Digital Revolution does usher in true machine-powered cognition, I foresee banks, investment houses, insurance companies, and trading businesses, just to start, operating drastically differently from what we are used to today. Midtown will be cleared out – both the food halls and the corner suites. A few managers will rely on AI for most decision making, and the remaining workers will be more creative in nature, delving into new and emerging business models, or possibly still toiling in the age-old task of sales (with Einstein’s help, of course). I hardly see this as apocalyptic for our knowledge economy. Yes, Midtown will be desolate, but Brooklyn will be bustling. Suit peddlers will be out of business, but hipster boutiques will be teeming. The advent of AI will be the advent of what I call the Creative Economy. Today, the creative economy is the corner of our economy focused on arts and leisure, design, media and entertainment, performing arts, fashion, and a smattering of other cottage industries. Although people will lose jobs (or fewer new jobs will be created in the knowledge sector), our economy will be operating more efficiently. This relieves pressure on prices and leaves employed people with more disposable income. As an economy we can then deploy this disposable income into new interests, hobbies, passions, and arts. With more of the world’s most intelligent people free to devote themselves to their passions and leisure, there will be an explosion in creativity and creativity-as-commerce. Rather than focusing on high paying jobs devoid of meaning (if anyone who spends their whole day collating data says they “love their job,” they are lying), far more of our collective intellect can be dedicated to creative pursuits. We can create more content of an intellectual nature and consume more downright leisure. We already consider leisure & arts as very virtuous pursuits, although one that relegates all but the luckiest artists among us to being the perennial starving artist. These arts include writing, painting and drawing, film-making and acting, music, dance, fashion, gastronomy, architecture, other forms of literature, performing arts, and visual arts. With more time left to pursue the consumption of leisure or the practice of these arts, the traditional arts will proliferate. Digital arts will be one of the fastest growing new creative pursuits. With more immersion in the form of augmented reality and virtual reality (AR/VR), there will be immense demand for graphic design, 3D design, animation, and VR environment design. All of this art begs for software in which it can be designed, rendered, mixed, shared, and experienced. Today we have a knowledge economy, and Microsoft, along with the likes of SAP and Oracle, dominate knowledge software, so they are some of the largest companies in the world. In the future, the creative economy software manufacturers will be among the largest companies in the world. Design software by companies like Autodesk and Adobe will dominate our daily lives, and those companies will be vaulted into the Dow 30. There are even companies that are merging many technologies, from teleconferencing and virtual reality to design and architecture. They are creating software that will allow remote teams to interact in virtual reality environment and collaborate on design and creation real-time. Imagine a team of architects, all over the world, being able to virtually fly around the buildings they are designing and make changes together based on each other’s comments. We will continue to live in a physical world (I am not predicting The Matrix), and manufacturing, engineering, medicine, and other physical sciences and fields will continue to be of the utmost importance. While less creative in nature, companies that bridge the physical-digital divide and allow AI and automation to assist in these fields will be extremely valuable. Importantly, they will continue to fuel the creative economy by freeing workers from tasks that can be performed by computer and machine, allowing them to more freely contribute to the creative economy. The shift from a knowledge economy to a creative economy will have to be supported by the educational system. Training for trade and business will diminish. Instead, there will be more learning how to learn. Liberal arts will flourish, alongside an emphasis on mathematics and statistics, engineering, biology and medicine, and hard sciences. Coding, which is already moving to the mainstream of education, will gain even more importance, and humanities and the arts will once again be respected and valued fields of study. Education will also be prolongated and emphasized throughout one’s life, not just at its beginning, and there will be more economic emphasis on education. The creative economy will also self-reinforce the education sector by more effectively immersing learners in their education and create new and innovative ways to learn. If we can align our education system with the promises of the future and coordinate our data protocols for our collective well-being, the future will be bright, colorful, and fun and filled with enjoyable work and pleasurable leisurely pursuits. This article is part of a series, The Seven Innovations That Will Change the World. Servicization is a recent and growing trend. So recent, in fact, that Microsoft Word is trying to convince me that it does not exist by underlining the word in red. Typically, companies make products with a particular function. After selling the product, the company wipes its hands and moves on to its next customer. For instance, Whirlpool sells washing machines, and the function of these machines is getting clothes clean. Save warranties and guaranties, Whirlpool has no other contractual obligations to the buyer once the company sells the machine. Servicization focuses on what consumers really want: the function. Instead of selling washing machines, Whirlpool could sell clothes washing as a service. The company could install washing machines in consumers’ homes and charge consumers based on how much they use the machine. The machine could have an attached smart meter that transmits the number of washes back to Whirlpool. The company would send you a monthly bill, just like your electric utility. Whirlpool, remaining the owner of the machine and simply the purveyor of a service, would be responsible for maintenance and would have an incentive for the machines to be reliable. After all, they would not get paid if the machines break down and the consumers can not wash their clothes. Whirlpool could actually increase its revenue if it changes to a servicization model. Currently, washing machines cost around $2,000 and can last around 11 years (Consumer Reports). In contrast, a wash at the laundromat costs around $2. If a family of four does 500 washes a year, that’s 5,500 washes over the life of the washing machine, or the equivalent of $11,000 at the laundromat. If Whirlpool were to price its new service at par with the laundromats and Whirlpool’s weighted average cost of capital is 10%, then the value to Whirlpool is $7,145. The consumer benefits in a servicization relationship because they do not have to invest in a depreciating asset and recoup the value of their purchase over time by washing their clothes. Besides the increase in revenue, Whirlpool would receive a large tax benefit as well. Since they do not sell the washing machines to the consumer (it just sits at the consumer’s house), they can keep the washing machines on their books as a depreciating asset and offset their income with the depreciation. Over the last four years Whirlpool’s average cost of revenue exceeded $17 billion. Even if only 5% of that is taken as depreciation on an annual basis it would have a sizable, if not transformational effect on Whirlpool’s tax bill. In addition, new people would be able to afford washing machines in their homes, since they only pay by the wash, not for the whole washing unit up front. In this scenario, production would increase, and the company would be more resilient in downturns because people are more likely to continue washing their clothes and paying a small amount each wash rather than making large ticket purchases. Whirlpool benefits, its employees benefit, and its customers benefit as well. Some of these products have already been servicized, but I can conceive of some sort of servicization scheme for all of them. Xerox has servicization contracts with offices. Instead of simply selling copiers it sells contracts that allow offices to use copy machines and pay by the copy (or more likely, for tiers or block-quantities of copies). Xerox is responsible for maintenance of the machines. Defense contracts are also servicized to an extent. Fighter jet engines have to guarantee a certain number of flyable hours to the military. The manufacturer is on the hook if downtime for maintenance puts the jets out of service for too long. One of the first commercial examples of servicization was for office flooring and carpeting. The concept was not very successful because facilities managers had a hard time shifting capital budget expenditure to operating costs. Consumers may be more willing to make the shift. I could imagine Amazon switching to a subscription model for Alexa. Right now, the product is actually called an Echo, but many people refer to it as their Alexa anyway. Why not just make Alexa that actual product? Amazon could simply give people the device (or enable it over other devices that we use, such as our phones, televisions, and computers) and have us subscribe to various levels of service from Alexa (number of requests per week, music access, advanced information access, additional “Skills”, etc.). Undoubtedly one of Amazon’s objectives with their Echos is to increase engagement between consumers and all of the company’s products and services. Certainly, this new service-based model would incite more interaction and engagement with Amazon. One of the reasons I personally do not use Alexa is because I do not want to pay for one of the devices, especially when I already have a Bluetooth speaker that I am fairly fond of. If Amazon lowered the monetary barrier to access, I may be more inclined to become a user of the service. Health care, for the most part, is already a service, but we pay for its delivery rather than its function. I could imagine a very different health care system in which we compensate providers for what we actually value: mainly wellness, as well as restoration in certain situations. We could actually wind up paying more the healthier we are rather than the sicker we are! Many people would appreciate that change, especially the government, which is the largest buyer of health care in the world. The largest market in the world is the market for labor. Most labor, especially in developed economies, is full-time. Our time is bought as a product by our employers, but what the employers actually want is the function: applied strategic thinking, computation, applied engineering, customer consultations, treating patients, servicing vehicles, etc. In the current economy, in which there is extremely low unemployment, there is less risk to having salaried employees. Labor is in tight supply and companies are able to meet payroll by generating regular revenue. However, during downturns, when consumption decreases, full-time employment becomes a critical problem and companies wind up laying off employees, only exacerbating the downturns. Without guaranteed salaries no one would ever be laid off and the economy would have a natural hedge against severe downturns. Freelancers have already servicized their labor, but nearly all professions could conceivably be servicized. Sales roles are partially servicized through the paying of commissions. The problem is matching service providers to customers. It’s typically easier to work with garages than for every person who needs an automobile repair to find a mechanic with some free time. The same goes for companies. It is difficult to find and contract on a continuous basis doctors, pilots, drivers, construction workers, bank tellers, data scientists, store managers, and nearly all other jobs, so they are usually just hired on at least a semi-permanent basis. Aggregators have begun to servicized labor by ushering in the “gig” economy. An aggregator usually just replaces the old employer, but with none of the risk of having to pay salaries. For instance, Uber facilitates an income for all of its drivers, but Uber does not directly pay any of them, so in a downturn Uber would not be responsible for making sure any of them earn an income. For a truly equitable system to emerge the intermediaries would have to disappear and workers and companies (or the buyers of any service) would have to be able to directly contract with each other. Blockchain is one innovation that offers a solution to this problem. Blockchain allows for direct peer-to-peer transactions, so no aggregator is necessary to facilitate matching. In a way, all participants would own the matching algorithm and they would all benefit from it. Another market that we may soon find to be servicized is automobiles. Automobiles are vastly under-utilized assets, spending most of their time taking up space in our garages or sitting outside of our workplaces. Instead of buying automobiles for personal use, imagine receiving an automobile on-demand from an auto marker or a fleet operator. Rental companies do this on a small scale now, but as autonomous driving technology develops, the scope of on-demand car service can expand. People will no longer have to own their own vehicle to guarantee themselves mobility. No matter where you need to go, a car will be available to you and you will pay based on how far you go and how long it takes you. In the example of the Whirlpool washing machine, the consumer may very well pay for the electricity to operate the machine on her own. However, it is possible that for items like air conditioners, home furnaces, and automobiles, the manufacturer would pay for the utilities. In this arrangement, the manufacturer would save money the more efficiently the machine operates. Servicization has an opportunity to create a more sustainable economy. Carbon efficiency would be aligned with the financial incentives of manufacturers. No matter what the miles per gallon requirements legislated by the government it would always be beneficial for an auto manufacturer to exceed the standards. They could still charge the customer based on mileage, but the manufacturer would save money on gasoline. Many developing countries do not have access to technology and machinery because purchasing them are too expensive and there is less access to credit in emerging markets. This leaves most low-income countries dependent on exporting raw materials to earn dollars and then spending those dollars on imported foreign goods. Servicization could change this. Farm machinery, manufacturing equipment, and construction machinery can all be servicized by the original equipment manufacturer. The amount of capital needed for new projects would be much lower, allowing for more development. Around the world, many people buy big ticket items, like washing machines and automobiles, on credit. Servicization presents a large threat to consumer lenders around the world. Consumers would receive access to machines like washers for free and then just pay a little bit for each use. There would be far less need for consumer loans and credit cards. Consumers would be able to escape downward debt spirals, and finance ministers would be glad to see capital being deployed to more productive sectors of the economy. Think of all of the items you use and rely on every day to go about your life. Sitting here at my desk (1) now there is a window (2) in front of me. I’m writing on a laptop (3). I’m listening to music from Spotify (4) of a Bluetooth speaker (5). The lights (6) are on, the air conditioning (7) is running, and my laptop is plugged into a socket to receive electricity (8). My food comes from a stove (9), I use a stationary bicycle (10) at the gym, and my cell phone (11) is never far from me. I enjoy cold water from a dispenser (12), and my clothes are washed in a washing machine (13). I take medicine (14) every morning to prevent malaria. We have an economic relationship with all of these items or services, but the terms of the relationship can easily be changed, both for the benefit of the consumer as well as the purveyor. The computing power of this laptop and my smartphone sit idle for most of the day. I have no way of knowing how efficient the air conditioning or the stove are, and I’m going to be quite upset if I get malaria despite having paid for the prophylaxis and adhering to the regimen. We are currently experiencing an interesting divergence. On one hand, our interactions with the digital world are intermediated less and less by physical screens – the televisions, computer monitors, smart phones, and tablets that we traditional associate with the digital. These days, more and more, we can simply talk to our devices in order to interact with them. Amazon Echo and its disembodied persona, Alexa, is a good example, but I’m equally astounded by my new noise-cancelling headphones (my mom bullied me into buying them after a recent bad experience on a flight had me praying for an Exorcist to be on the plane). I can control a lot of my phone’s functionality by speaking to the headphones or even just touching them. Sonos, the wireless speaker company, even has a name for this concept: sonic internet or sonic culture. On the other hand, our consumption of media and entertainment, particularly television and film, is increasing, and these media are necessarily consumed through glass. American adults watched, on average, 4 hours and 46 minutes of television (that’s up 21 minutes from six months ago) and 25 minutes of video on phones, tablets, and computers (Wired, Nielsen). These figures do not include movies, streaming services like Netflix, or other non-conventional sources of media (like watching news or entertainment videos over social media sites). What’s curious about this divergence is that even though our digital lives are being disintermediated from the screen, the media and entertainment that we consume is becoming more and more digital! Streaming services are becoming more popular while many households are cutting the chord and not bothering to pay for their age-old analog television service anymore. Quality and quantity of programming has increased, and we have more choice over how we acquire this content. Many people are finding that they do not have to be beholden to traditional television service providers in order to see great programming. The digitization of entertainment goes beyond streaming services, Chromecast dongles, and Rokus. Gaming, which we typically associate with adolescent boys in their basements, is becoming a more pervasive form of entertainment. Even more so, e-sports have made gaming a spectator experience, with the associated apps and streaming services to watch them online. Game streaming generated $4.6 billion in revenue in 2017 (Motley Fool). Amazon’s service, Twitch, dominates the market with 665 million viewers, which are more than HBO, Netflix, and ESPN, combined. In 2014, Twitch was the fourth largest source of internet traffic, behind Netflix, Google, and Apple (Wall Street Journal). However, Google, Twitter, Microsoft, and Facebook are all nipping at Amazon’s heels and offering their own services to gamers and e-sports viewers. Facebook sells the virtual reality (VR) headset, Oculus, and hopes that 360° e-sports streaming will give it an edge over the competition and promote sales for Oculus (Wired). Gaming itself has come a long way from the era of the console wars between Nintendo, Sony, and later Microsoft. Gamers can now play on computers, smartphones, and tablets. The most popular game in the world right now, Fortnite Battle Royale, with more than 125 million players since it was released in 2017, is available on PlayStation 4, Xbox One, Windows, Macs, Nintendo Switch, as well as iOS and Android. However, more and more games, usually on computers or smartphones, are immersing players themselves in the gameplay. Pokémon Go is a prime example, where the setting of gameplay is the users’ surroundings. Minecraft, another game of massive popularity, while not an augmented reality (AR) game like Pokémon Go, also has a mind-body connective therapeutic quality that few other games have been able to replicate. As artificial intelligence, voice recognition, and haptic and gestures technologies advance, technology product managers will bundle these innovations into more and more useful applications or “skills” for Alexa. The glass in our homes and in our pockets will become less and less cluttered by the minutiae of our digital lives. Not so long-ago Facebook released a digital assistant known as “M,” but they folded it shortly afterwards. It seems that they are gearing up for a second act called Aloha (I had previously recommended the name “Geoffrey”) and a home video calling device called Portal to accompany Aloha (Techcrunch). Alexa is a window into our digital retail lives and often gives us access to music as well. Google Assistant allows us to control various appliances in our homes. Now our social lives will be voice activated as well. Einstein, from Salesforce, is a little mentioned, but powerful AI assistant for businesses. Sonos is working on devices that will integrate all of these voice-enabled digital assistants into one seamless user experience. With our digital lives conveniently more and more sonic, as Sonos would say, there will be less encumbering us from consuming entertainment on our leftover screens, whether its television shows and movies, live news, sports, or e-sports, games that we are playing, or even games that we are directly immersed in. Rather than remaining passive consumers of entertainment, we are going to increasingly interact with our media. Pokémon Go was pivotal in launching this new genre of immersive entertainment to the masses and making AR go mainstream, but there are many other examples of immersion, interaction, and play appealing to people. One of the most important developments in the success of the NFL was the growth of fantasy football. By being able to play the game in a new way and interact with the league, engagement and viewership increased. Webkinz was an early example of children’s toys being mixed with the digital, by giving stuffed animals interactive lives online. Lego has dived head first into this trend, and is developing powerful AR apps that allow users to bring their Legoscapes, creations, and characters to life on a smartphone or tablet. This trend, or more broadly, these innovations, I encompass under the term immersive visualization. Immersive visualization uses visual technologies to allow viewers to more closely see, interact with, and participate in the viewing experience. AR is only one technology bundled into this innovation. The defining characteristic of immersive visualization is dynamic interaction. VR is also an immersive technology, as is heads-up display (HUD), holograms, and I would even argue that alternative reality games (ARG) and gamification are immersive (although they do not necessarily have to be digital). Beyond the purely entertaining, there is a growing body of research that shows that turning any task or activity into a game makes it more captivating and better for learning and knowledge acquisition and retention. This trend is called gamification, and the resulting games or quests are known as serious games. Companies like Lego are using gamification to drive engagement and sell more product. However, the education industry is developing quest-based learning based on the principles of serious games to improve learning outcomes. City managers and planners are seeing how they can incorporate whimsical games into the mundane details of cities to improve such important factors such as safety and traffic flow. The next time you see some interesting riddles or music making instruments protruding from your local bus stop, consider that it may have been put there to make it seem like the time you spend waiting for the bus is shorter, so you are more likely to ride the bus more often. While AR is the superimposition of the digital over the physical world, virtual reality (VR) represents an immersion into a completely digital world. Via a headset, users can only see what is projected into the headset. These are often 3D environments, and the headsets relative position and orientation determines what parts of the environment are seen or not seen. By blocking out the actual physical world, VR has a powerful psychological effect on people. People begin to think that they are actually inside the VR environ and begin to act accordingly. Just like in the real world, people are apprehensive to jump out of VR airplanes and skydive because their minds begin to think that they are actually in an airplane and thus jumping implies mortal peril. VR has been known to magnify emotional responses far more than traditional cinema. Imagine being able to walk through and around the pivotal scene of a movie rather than watching it through a screen. This psychological response makes VR another powerful tool for education, learning, and development, as well as other fields, such as therapy. The entertainment and media industry, travel industry, health care, and art and design industries are all developing applications for VR. Retailers are also clamoring for AR/VR applications to their businesses. There are now AR apps to visualize what furniture will look like if you purchased it for your home, how you would look in new apparel, or what cosmetics will look like when applied to your face. When shopping for a new home you can now skip the open houses and just take VR tours of the houses. The American Academy of Optometry is devoting an entire special edition of its Optometry & Vision Science journal to “Assistive Technology in Vision Impairment,” with a special emphasis on immersive visualization technologies. Face swaps and puppy dog faces were only the beginning of the AR revolution! Barbie has recently seen a resurgence in popularity by pairing the doll with a video blog that is generated through motion-capture acting (Vice News). Netflix is beginning to dip its toes into immersion by developing interactive television shows where viewers will make choices that effect the plot progress and ending of the shows. Netflix is also releasing a show based on Minecraft and has plans to integrate more programming adapted from gaming into its platform (Bloomberg). Immersion may also be a lifesaver for commercial real estate developers that have over-invested in retail space. Before Sears declared bankruptcy, the mall vacancy rate was at 8.6% (Reis, WSJ). VR arcades and other immersive experience centers are popping-up around the United States, and new companies such as Two Bit Circus and Meow Wolf are designing experience centers that perfectly fit within the floorplan of vacant department stores. They are anchoring more and more shopping centers that have lost department stores or other attractive retailers. Given the recent popularity of escape rooms and pop-up experiences designed for Instagrammers, these new immersive experience centers certainly have legs to run on. Greenlight Insights, a VR research firm, reports that immersive entertainment will be an $8 billion business by 2023 (Wired). One of my favorite memories with my friends Luke and Catherine is when we were staying at a house on the Tamar River in northern Tasmania. One night we walked out to the riverbank and used Google Sky to explore the southern heavens. As natives of the Northern Hemisphere, the app was superimposing over the night sky stars we had never heard of and drawing constellations that we had never seen before. I had been gifted so many Aussie and Kiwi trinkets with the Southern Cross and seen so many friends with the constellation tattooed somewhere on their bodies, but never before had I seen those four stars with my own eyes until Google Sky showed me where to gaze. This looming trend towards the immersive and visual is digitally driven, so computer engineers and software developers will continue to be in greater and greater demand. However, these technologies are visual and artistic. Someone at Google has to draw those constellations. Those Pokémon do not render themselves. If you want to see what buildings and neighborhoods used to look like by just walking around with your phone, someone is going to need to meticulously create the 3D models that materialize on your screen. Graphic designers, animators, artists, cartographers, photographers, architects, optical experts, mathematicians, and their ilk will be the indispensable partners of the coders. Facebook has developed a 3D and 360-degree camera that resembles a device out of Star Wars. The device must have taken thousands of hours of work from cinematographers, digital photography engineers, designers, and software engineers. I believe that we are on the cusp of the largest hiring spree of these “creative types” that for so long we have relegated to freelance work and starving artist status. Employment of arts and design occupations is projected to grow 4 percent from 2016 to 2026, slower than the average for all occupations, adding about 33,700 new jobs. More workers will be needed to meet the growing demand for animation and visual effects in video games, movies, television, and on smartphones, as well as to help create visually appealing and effective layouts of websites and other media platforms. Other arts and design workers are employed in industries that are projected to decline, however, including publishing, manufacturing, and floral shops. The median annual wage for arts and design occupations was $45,250 in May 2017, which was higher than the median annual wage for all occupations of $37,690. The BLS is greatly underestimating the importance that these occupations will play in the future of our economy. Immersion is more enthralling. Immersion is more effective. Immersion, when implemented properly, can be more profitable. Consumers, as they become more acquainted with immersive experiences, will demand more and more of them. Media, entertainment, and more of our visual world will continue to march towards the immersive and interactive, just as digital is becoming more sonic. At business school I took a course called Technology Strategy. In the course, our professor, Dr. Al Segars, introduced us to a list he published: Seven Technologies Remaking the World (Sloan Management Review). We went through the list in detail during class, and while he had compelling arguments for the formulation of his list, I felt that it was too narrowly focused on physical technologies and misses some of the most important trends in humanity, like climate change. After all, internal combustion engines and refrigerators, although not new technologies, are changing the world in a big way, and not necessarily for the better. After some thought, I’ve come up with a competing list of seven innovations that will change the world. There are a few differences between my list and my professor’s. First, I refer to innovations rather than technologies. I define technologies a bit more narrowly. If not tangible, they at least have some physical manifestations. Innovations, on the other hand, can be conceptual in nature. Secondly, these are innovations that will change the world, rather than those that are currently having an immediate impact. Each of these innovations have the potential to usher in meaningful change for the world, but the most impactful change occurs at the nexus of these innovations. When Steve Jobs first introduced the iPhone he emphasized that it was three products in one: an iPod, a phone, and a web browser. Flash hard drive storage, cellular data technology, touchscreens, microchips, and digital photography were just a few technologies in the iPhone. Each technology was impressive on its own, but when the designers of Apple conceived of a product and use case that blended all of these technologies, they truly changed the world. Just ten years later it is difficult to imagine our lives without smartphones. Over the next several weeks I will be posting several articles on a few of these innovations. The order of the innovations, from one to seven, is not in order of importance. Instead, I’ve arranged them in a sequence in which the possible interactions between different innovations become more apparent as we progress from one innovation to another. While I am unlikely to post a standalone article on quantum computing because I struggle with understanding the science of the, the innovation will have profound effects on our world. Quantum computing will make computers faster, and importantly, allow computers to perform vastly more computations in a reasonable amount of time than they can now. Artificial intelligence, one of Dr. Segar’s world-changing technologies (#5: Cloud/Big Data), requires many computations to be rapidly undertaken. Certain applications of this technology have abutted the frontier of what computers can currently handle. Quantum computing promises to let artificial intelligence break through this ceiling and unleash all of its world changing promise. The internet of things (IoT) is a term used to describe the proliferation of internet-connected devices: wearables, home control devices, sensors of all types, industrial monitoring devices, and more. I see these devices as two-way doors between the digital and physical world. Entering the information superhighway are all of the data that the devices collect. In many instances, these are valuable data that were never available before. As two-way doors, these data can interact with decision algorithms and then send instructions back to the devices, controlling environments remotely and automatically. Health care, industry, agriculture, urban environments, our homes, vehicles, and many more applications can all be automated and improved by IoT monitoring and control. I am publishing on article on Immersive Visualization on October 29, 2018. Manufacturing is not only capital intensive because of the need for machinery, but also because of the need for working capital. Injection mold casts can run into the millions of dollars, and many manufacturing processes remove material until the final product is produced, which inherently results in a lot of waste. 3D printing promises to eliminate these inefficiencies by allowing materials to be precision deposited precisely where they belong. As the price of precision of 3D printers come down manufacturing can also become more decentralized, revolutionizing supply chains and logistics, not just manufacturing itself. However, when you weave the promise of immersive visualization into 3D printing, a lot more opportunities open up and present themselves. 3D printing could really unleash a wave of at-home design and prototyping. The printers are becoming more accessible, but so too is the software and immersive tools that more and more people can use to make and design. With immersive visualization, people can bring their Legos to life. With 3D printing, people can generate completely new Lego bricks and designs for their Legoscapes! 3D printing Star Trek emblems. Scotty, beam me up! Beyond wealthy children playing with LEGO, 3D printing holds promise for low- and middle-income countries. 3D printers can help remote and impoverished communities obtain parts and materials that were hard to come by before, and the printers can also become sources of income as mini-manufacturing sites. I am publishing an article on Servicization on November 5, 2018. However, it seems that some of my professors have already jumped the gun and published a paper on servicization. In some ways, alternative energy is last on the list because it the final, necessary, innovation for the world to change. Climate change is existentially threatening for billions of present and likely future humans. Without alternative energy, there will be no world to change for all of these people. Alternative energy is also at the end of the list because the other technologies all hold promise for accelerating and improving the development of alternative energy and how we manage the energy that is already produced, particularly quantum computing, blockchains, and servicization. A few miles west of Chapel Hill, North Carolina, there is a raised wooden pavilion with tables and chairs, surrounded by acres of farmland. On these fields they grow berries, herbs, and even tea leaves, which are steeped and served at Honeysuckle Tea House, an establishment inside the breezy open-air structure. The farm and Honeysuckle Tea House are part of a large ecosystem of corporate entities that work together to reinforce each other and enrich the local community. Honeysuckle and the farm are owned by EastWest Organics, a farm management company that owns or leases 227 acres of farmland and food producing forest land in Orange County, NC. They produce agricultural products that are used in beverages, such as berries, nuts, tea leaves, and honey. In addition to the farms, EastWest owns the aforementioned tea house, as well as the Looking Glass Café in Carrboro, NC and the Honeysuckle Meadery and Wine Bar, also in Carrboro. Looking Glass is a traditional coffee shop which is attached to the meadery’s tasting room. Here you can sample Honeysuckle’s meads as well as other local beverages, such as wines, ciders, beers, and fermented beverages like kombucha. The meadery makes Honeysuckle’s meads, with ingredients sourced from EastWest’s farms. EastWest is 20% owned by Unique Places to Save, a local non-profit. Unique Places (“UP2Save”) conserves unique social, cultural, natural, and agricultural places around the United States, and has a lot of assets in North Carolina. One such is the Keith Arboretum and Forest, in Chapel Hill. The arboretum was founded by a University of North Carolina professor over 40 years ago, and now has more than 4,000 species from temperate forests around the world. The core arboretum is buffered by additional protected woodlands and the Keith family farmstead which is available for private rental. UP2Save has allowed Bee Downtown, a local startup, to house their beehives at the arboretum. Bee Downtown places beehives on the premises of corporations and other institutions who pay to sponsor hives. In exchange, the corporations receive educational content, have a new method of engaging with their employees, and get the honey from the hives. Bee Downtown is a successful, growing company that is now expanding to Atlanta from the Research Triangle region of North Carolina. The arboretum is also one of the farms for EastWest Organics. The company cultivates botanics from the forests and fields and also uses the bees’ honey for its meads (Bee Downtown also has hives at the tea house location farm. The bees pollinate the plants at the farm which produce the crops, such as berries). Given the extreme biodiversity of the arboretum, the honey from these hives is arguably some of the most unique in the world! The number of large corporations that Bee Downtown works with is remarkable. Just in the Research Triangle area they have hives at IBM, SAS, Murphy’s Naturals, North Carolina State University, and even Burt’s Bees. Although many of its customers are large companies, it partners with other local companies as well. They have designed t-shirts with Durham, NC-based apparel company Runaway. Local companies that sponsor hives can also take the honey they collect and sell it under their own brand name (as Runaway has done). One of the interesting aspects of these strong ties between entities is that UP2Save is a non-profit. Nevertheless, it sits as an anchor and facilitates a lot of commercial activity. Another revenue generating activity for UP2Save (beyond the proceeds it receives from EastWest Organics) is mitigation banking. The US Army Corps of Engineers requires new developments to offset their impact on wetlands by purchasing mitigation credits. These credits are created by mitigation banks. The “banks” are conserved wetlands which conform to Army Corps of Engineers environmental standards. UP2Save is able to meet its conservation mission, generate revenue, and help facilitate the development of new properties in local communities. All of these interconnected activities also create educational opportunities. The various entities offer educational programs as well as have spaces for formal or informal educational events. Bee Downtown educates its corporate clients about the importance of bees to the world, and they also host school groups at the arboretum. The arboretum doubles as an educational and research laboratory, given the array of species that it houses. Honeysuckle’s beverages educate consumers about agricultural practices and beverages and wellness. Furthermore, the agritourism promoted by Honeysuckle Tea House, the arboretum, and Bee Downtown grow interest in conservation and agribusiness, and all of these entities offer internships and other practical experiences for students from all of the local universities. Local business is not an ideal in and of itself. The economics of local and small business is more nuanced than money staying in communities. However, local businesses that offer unique and superior value are worthy of our praise and patronage and can certainly strengthen communities all around the United States. Ecosystems of local businesses, such as the one highlighted here centered around UP2Save, promote culture, provide sustainable products for consumption, offer employment for individuals of varying levels of skill, and integrate with the society and education system. Importantly, they also offer partnerships and platforms for new local businesses to start up and grow. Perhaps the best argument for supporting local is that strong local business promotes income equality, whereas big box retail continues to consolidate wealth in the hands of a few wealthy individuals. Strong local economic ecosystems also enhance service companies, and tech and platform companies. Many of the logos above were designed by a local creative agency called The Splinter Group. ROMR, a local tech company that allows individuals to book recreational access to private land (kind of like the AirBnB for conservation), has the Honeysuckle farm and the Keith Arboretum on its platform. However, these local economic ecosystems also rely on one-to-many companies for a variety of critical business services, and I continue to believe that one-to-many companies have an important role to play in the national economy and our local economies. For instance, all of these local companies and non-profits have websites, so they hosting and domain name registration services from companies like GoDaddy and Digital Ocean (I use these providers for my company). Splinter Group probably relies on Adobe for its design software. Nearly all of the companies promote themselves on a combination of Facebook, Twitter, Instagram, and Pinterest. Some also use LinkedIn for certain services. In addition, the local companies use payment services like Square or Clover to take payments and keep track of their finances. Companies that cheaply provide important business services to many companies will continue to play an outsize role in our economy. However, they need to proactively support the country’s economic values, or they run the risk of becoming vilified by the country, as we have recently seen with Facebook and other large tech companies. In a past life, I had a job as a Credit Analytics consultant with Ernst & Young. I whipped up more than my fair share of spreadsheets and coded up a few SAS analyses here and there for the banks I worked with. However, the most important part of my work was the documents I wrote. Distilled into one sentence, my job as a consultant was to synthesize analytical work into model validation reports and model methodology documentation. At one bank I wrote over 500 pages of text, and over my more than two years with EY I produced more than 1,000 pages of analytical documentation. However, my true love for writing and a passion for technology both blossomed while I was a Volunteer in the Peace Corps. Writing seems like something that naturally goes with Peace Corps service. Volunteers have tons of meaningful experiences and tons of time for reflection. That lends itself to writing. I did plenty of writing, mostly on my two blogs, both of which I continue writing on to this day. However, technology is more of a non-sequitur with Peace Corps service. I did not have much access to technology, so how did I become so interested in it? Along with time to write, Peace Corps service gave me a lot of time to read. I had to tell my mom to stop sending me links to articles. I had inevitably already read them. I read most of the NY Times on a daily basis, and my parents got me a digital subscription to The Economist. I also devoured much of Wired, and whatever else popped up around the internet and on my Facebook feed. Digesting all of this information led me to realize that technology could go a long way to solve many of the problems that Nicaragua and other lesser-developed countries around the world face. Even more so than ‘technology,’ which is a word typically associated with something tangible or engineered, there is a thirst for innovation in lesser-developed countries. New ideas, new ways of doing things, and connecting disparate ideas to come up with novel solutions to problems can all be used to solve the problems of international development. Even a staid and old idea in one culture might be embraced as new and promising in another. When I completed my Peace Corps service I entered business school intent on learning about global business, operations management, entrepreneurship, and technology and innovation. Midway through business school, during the height of my summer internship with UPS, I felt confident that I had the skills to try to tackle some of the problems I encountered in Nicaragua. I founded a startup in July 2017 called ChickenBus. It is a socially minded tech startup dedicated to improving access to public transportation in lesser developed countries. The MVP is under development, and I hope to ship in Q1 2018. Think back forty years to how businesses used to operate and grow. Someone would cook up a good idea for a product. A company would be formed around that idea to manufacturer it, warehouse it, and then distribute it. Supporting these functions were a sales, marketing, and finance workforce. If you invented something, you then had to get machinery to manufacture it and hire a sales force to get it into the hands of customers. There were few other options. Since then, businesses have evolved considerably. If someone has a good idea for a product they design it and market it. That’s it. Manufacturing is outsourced, often offshore. Sales are facilitated through e-commerce marketplaces. Fewer and fewer companies are bothering to have their very own websites, let alone a brick-and-mortar store. Logistics are handled by third-party logistics providers. Going asset-lite is the way to go. That lets you rapidly scale scale scale if you want to. The other side of the coin is the companies that are providing all of these support functions. Since they have to own the assets – whether they be warehouses, vehicles, servers, machines, or financial capital, they have an incentive to be very large companies. Scale is their friend. In fact, it is imperative for success. What has emerged is a dumbbell economy: On one side, you have many small weights that all add up to a hefty load of economic activity. There is a bar connecting these weights to the other side, which is comprised of a few heavy weights. Summed together, the few heavy weights equal the weight of the smaller weights on the other side, but there are far fewer heavy weights than there are small ones. The dumbbell economy can be best illustrated through these two graphs. While companies with 1,000 or more employees make up just 0.21% of all companies in the United States, nearly 40% of all privately employed workers in the United States work for one of these companies. I’m not the only person to have made this observation about the shape of the economy. The Economist reported on it in 2016. Deutsche Bank also wrote a report on the matter. In this dumbbell economy, the few heavy weights represent large service corporations that provide services and other knowledge-economy goods to other companies. These include Microsoft, Dell, IBM, Amazon, the Big 4 accounting firms, UPS and FedEx, Google, Maersk, Delta, Caterpillar, John Deere, and Salesforce.com. The many smaller weights represent small and medium businesses. These include mom and pops and specialty stores, but they are not only brick and mortar. Growing online brands, artists, and many other private companies are on the lightweight side of the economic dumbbell. To complete the metaphor, the bar connecting the two sides of weights represents infrastructure. Roads, airports, cables, and public utilities, which are essential for commerce to be able to function. Government is the arm that curls the dumbbell and makes it move. If the government is not exercising then iron won’t get pumped – the economy will not function properly and grow. The heavyweight companies invest in assets and then sell them as a service to the lightweights. Without the heavyweights, the lightweights would not be able to grow as fast and expand their reach as wide. The most successful heavyweights are those that are most valuable to the lightweights. Those that can help the smaller, growing companies the most while pinching the lightweights’ bank accounts the least will find themselves with the most demand, as well as investors willing to provide cash to allow them to invest and grow. While the dumbbell is a useful analogy to understand this phenomenon, I think that it is most appropriate to call this one-to-many. One company can support activity for many others. Imagine that I am an engineer, and with the assistance of Autodesk design software I invent a great new device that I want to start selling. I’ve drummed up a lot of support for my nascent product by creating an Instagram account for the device, but I do not have any capital to start production, so I start a crowdfunding campaign on Indiegogo. I raise enough money to begin production, and I hire a contract manufacturer in Asia to begin batch producing the device. I pay FedEx as my freight forwarder to get the batches from Asia to the United States, where I will offer the device for sale. My primary sales channel is Amazon.com, although I store the units in my home and ship them upon receiving an order using UPS and the US Postal Service. I do have a website which is hosted by GoDaddy.com. It’s basically just a landing page for people who find the device through Indiegogo. It forwards them to the Amazon product page so they can make purchases. However, as sales continue to grow, I continue to design, and support grows for my ideas, I raise some additional money from a venture capital firm. With this money, I hire some employees, and we move into an old industrial area in my city that has been repurposed as a business campus. It’s perfect for my small business that needs a lot of space for industrial design work. As we launch new products and have a steadier flow of inventory crossing the ocean from Asia, we make a concerted effort to strengthen our brand and diversify our sales channels away from Amazon.com. We build out our website and hire a third-party logistics provider to warehouse our inventory. We want to be able to take orders online and receive payments so we pay for some third-party software plugins and also work with Paypal. We also use some third-party digital marketing software services and pay for adds on websites like Google and Facebook. The beauty of the one-to-many economy is that it allows new ideas for products and services to be born, grow, and be distributed to consumers who find them appealing and valuable. The problem, some may say, is that we continue to feed the “heavyweights” and cede more and more economic power to them as a result. One-to-many supports a vast number of growing small and medium businesses, but it also necessitates the existence of a few large third-party providers – the heavyweights. Many people dislike the control of these large companies. In the wake of Amazon’s acquisition of Whole Foods some people said that there were anti-trust concerns. Goldman Sachs has been described as rather tentacular. The EU just slammed Google with a multi-billion Euro fine. To ease some of the discomfort that we have with the heavyweights having more and more control over the economy, we have to think about ways that we can leverage the one-to-many economy to nurture the economic activity that we most value. Use the heavyweights to make the lightweights as attractive as possible. What exactly are the elements of capitalism that we value, particularly in the United States? The heavyweights need to proactively ensure that they are not hindering the attainment of any of these values. They may also go a long way in earning widespread public support if they are proactively supporting these values. Aligning themselves with these values may also strengthen their businesses. However, just creating a foundation and donating to community causes is not enough when it comes to the heavyweights. Their core business functions need to keep these values in mind. My hypothesis here is far from original. Michael Porter, Harvard professor of Porter’s five forces fame, called this concept, “creating shared value,” in his 2011 HBR article with Mark Kramer. I’ve simply contextualized it here using some new data and appended my proposals to the “shared value” idea. Autodesk, which creates and sells software for design (AutoCAD is one of their hallmark products, but they have countless other programs which are used in 3D design and printing, animation, architecture, and more fields), has heavily invested in education (primary through university), entrepreneurship, sustainability, and medical innovation. Students, entrepreneurs, and teachers actually receive free access to Autodesk software. They figure that by advancing these fields they will build goodwill, train practitioners that will in the future become loyal customers, and the company may even position itself to capture a lot of business in emerging fields, such as Internet of Things and augmented reality/virtual reality. UPS has gone one step further and has come up with a way to help the customers of their customers. Rio Grande (whose parent company is Berkshire Hathaway) is a manufacturer of speciality jewelry equipment. They ship with UPS. This year, Rio Grande created a membership program for their customers called Rio Pro. UPS became a partner with Rio Pro and offers discounted shipping services to Rio Pro members. In this relationship structure, everyone wins. Rio Grande’s customers are pleased because they get access to discounted shipping. Rio Grande wins because their customers are more satisfied and more successful. UPS wins by bolstering its relationship with Rio Grande as well as building a trusted relationship with a number of growing small businesses. DHL, one of UPS’s main competitors, particularly outside of the United States, is creating an online marketplace for brick and mortar retailers in its headquarters city of Bonn, Germany. The marketplace is called Allyouneedcity, and I highly doubt that DHL is doing this just altruistically. They certainly hope that it will help support the retailers, but it also opens up opportunities for them. For example, they could use this marketplace to launch a pilot of same-day delivery, or they could expand the marketplace to compete with increasingly powerful e-retailers and expand DHL’s own revenue channels. Amazon launched an interesting program this year, in which families on government assistance (SNAP and TANF) can receive a discounted membership to Amazon Prime. Prime is a large sales channel for retailers selling on Amazon’s marketplace (third-party e-commerce sales are actually growing faster than traditional e-commerce), so this will give those retailers more access to lower-income earners. On the face of things it might just seem like Amazon is shooting across the bow of Walmart, or even that they are trying to exploit lower-income individuals. With Amazon forging more and more into e-groceries, different kinds of merchandise, and value-added services, this discounted Prime service may actually improve access of lower-income individuals to products that they need for their health, nutrition, well-being, and income generating activities. Access, particularly in areas known as “food deserts” where there are no nearby grocery stores, is a serious problem for lower-income individuals. Amazon’s new service may be beneficial to its bottom line and help its customers as well. In my opinion, Facebook may be the heavyweight that is most struggling with its vaunted position. It grew to prominence by facilitating a kind of social interaction that had never been conducted before. However, these sharings are increasingly being pushed to other platforms in the Facebook ecosystem, such as Messenger, Instagram, and WhatsApp. That’s left Facebook with a free speech billboard. At its most benign, people would say that Facebook is just a dumping ground for useless videos, blurry photos, and pitiful updates on people’s lives. At its worst, it’s a hate-littered echo chamber that is being used to manipulate people into believing things that are patently false. Facebook is far from doomed. It remains a very successful company, and I believe that it offers a lot of value to society, despites the criticisms. However, to remain relevant, it needs to start focusing more on economic values. For instance, I could imagine Facebook launching an AI assistant (a la Siri or Alexa – it’s so in vogue these days) that focuses on social connections (I’m partial to the name Joffrey, but that’s up to Mark). There are various permutations of how Joffrey could facilitate meaningful interpersonal interactions around the world, and help with networking, friendships, tourism, mental health, and education. Facebook would benefit as well, because the more activity that takes place within their network, the more opportunities it has to monetize the activity. There are countless more examples of how heavyweights can focus on economic values. Imagine if AT&T offered a comprehensive telecommunication plan for refugees arriving to the United States. Even more so, they could offer a special plan to refugees starting new businesses. AT&T would make great strides in facilitating communal integration for some of the neediest people in the world and helping them become successful members of society. If AT&T could expand this plan to include additional social support services, educational and NGO partners, as well as language assistance (Rosetta Stone or DuoLingo) then even more value could be created, and at little additional cost to AT&T (I only choose AT&T because it is one of the largest telecommunication companies in the country). In coming years, one-to-one many businesses will continue to not only shape, but shake markets. Much has been said about the impending doom of brick-and-mortar retail. However, emergent one-to-many type companies are already nipping at the heels of e-retail juggernauts like Amazon. Instagram, owned by Facebook, has a retail team. Their goal is to let users make purchases without ever leaving the app. Amazon has already taken steps to respond to this emerging threat by introducing Spark, its own social media platform for product discovery. Even being an established one-to-many titan for many years no longer guarantees the continuation of a business model. , credit card companies, and other financial one-to-many companies need to make plans to integrate with these the new heavyweights of commerce or they may find themselves cut off from what were once reliable and steady revenue streams. Other one-to-many companies can partner up behind your back and uproot your market position. UPS and FedEx should heed this warning and consider new one-to-many retail patterns. Transportation and logistics upstarts, such as Uber RUSH and Deliv (which, granted, UPS has invested in) are already directly integrating with large retailers as well as payment processing companies such as Clover. As one-to-many companies begin to support more and more smaller businesses, and the connections among firms become more and more complex, I begin to see the economy less traditionally, with individual companies making one-off transactions of goods or services. Instead, I see an economic mesh. Every transaction is distributed among many different firms in the economy, and these transaction could not be successfully completed without all of the firms working together. The heavyweights may continue to grow, and some people may get very rich as a result, but so long as they are supporting opportunity for millions of other people and in-line with our economic values then it is a win-win outcome. Posted in Business Models, Capitalism, Innovation, Logistics, Shipping.